This book contains now several HTML tables of contents that will make reading a real pleasure! 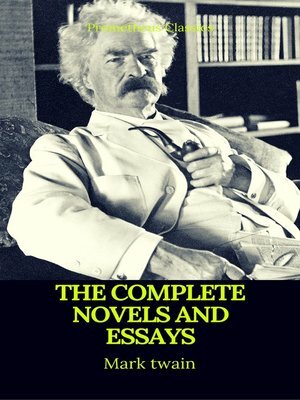 Mark Twain is most noted for his novels, The Adventures of Tom Sawyer (1876), and its sequel, Adventures of Huckleberry Finn (1885), the latter often called "the Great American Novel." Among dozens of titles, some of his works include The Innocents Abroad, A Tramp Abroad, Roughing It, Life on the Mississippi, The Prince and the Pauper, A Connecticut Yankee in King Arthur's Court, and many more.